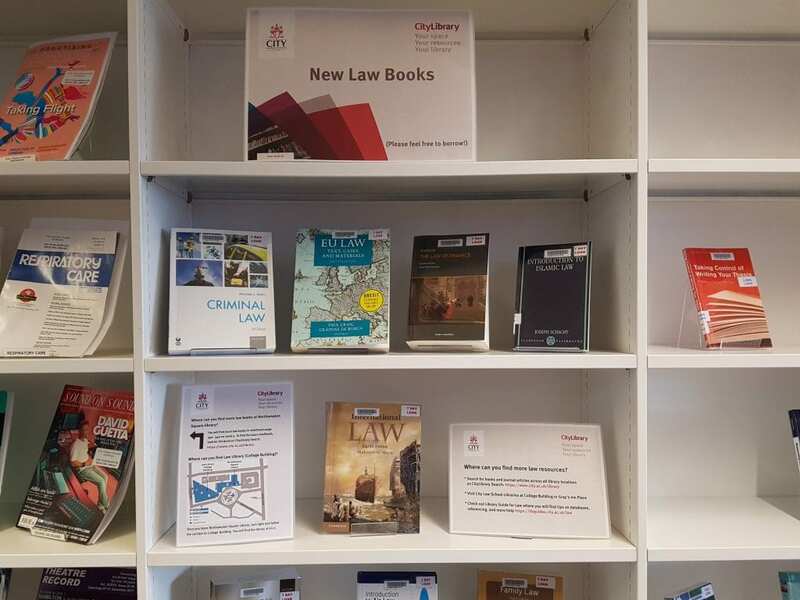 Library Services recently expanded the law collection in Northampton Square Library, in order to make as many core texts as possible available for students wishing to use this library and take advantage of its extended opening hours. In order to give everyone in the library the opportunity to consult them when needed, the majority of these books are for reference use only. You can find them on Level 5 in the law section. Please ask a member of library staff if you need help locating them. Some of the most used books are currently on display on Level 5, on the first shelf you see as you enter the level. These books can be borrowed and include: EU law : text, cases, and materials by Paul Craig and Gráinne de Búrca; Equity and Trust and The Law of Finance, both written by Alastair Hudson; An introduction to Islamic law by Joseph Schacht; and many more. Come browse our book display, you might find the book you need!